The Hyundai Sonata continues to offer a strong lineup in 2017 with three efficient powertrain options, great technology, and newly available dynamic bending light. The 2017 Sonata starts at $21,600, excluding $835 freight charge, which is $150 less than last year and makes it the most affordable midsize sedan*. 2017 Sonata Packaging changes maximize value, safety, and comfort at every price point across the lineup. Price dropped $600 on the Sonata Eco to just $23,125 and the Sport 2.0T came down an incredible $2300 from last year to $26,600. 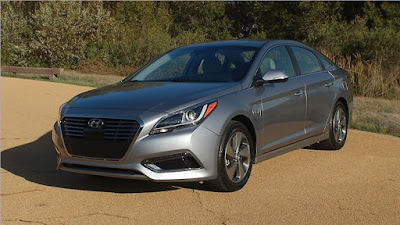 The 2017 Sonata comes standard with Vehicle Stability Management (VSM) with Electronic Stability Control (ESC) and Traction Control System, seven airbags, including a driver's knee airbag, four-wheel disc brakes and ABS with Electronic Brake-force Distribution (EBD) and Brake Assist and Tire Pressure Monitoring System (TPMS) with indicators for each tire. The redesigned 2017 Elantra also has an available front crash prevention system that earned a superior rating. The small vehicle's good small overlap rating is an improvement over the previous generation, which rated acceptable. The earlier model's structure did not fare well in the test. Maximum intrusion into the occupant space was nine inches. In the new Elantra, it's only 2 inches. To qualify for TOP SAFETY PICK+, a vehicle must earn good ratings in the small overlap front, moderate overlap front, side, roof strength, and head restraint tests. It also must have an available front crash prevention system that earns an advanced or superior rating. Hyundai offers to try its new luxury sedan, which got a new identity. In fact, the model Genesis G80 looks largely the same, but minor details were changed, as well as this car got new badging. New model looks fresh and handsome, so total restyling wasn’t need, expert say. A distant services, which you connected to via apps, are also available. You can remotely start your G80, operate the door locks, set the climate control, and find the car in a crowded parking lot. The automaker noted that the 2017 Genesis G80 goes on sale later this year, so, pricing will be available in autumn, too. The G80 showed more power and style, indeed. A 3.8-liter V6 guarantees 311 horsepower and 293 pound-feet of torque, while a 5.0-liter V8 makes 420 hp and 383 lb-ft. Both these engines’ options have 8-speed automatic transmission, with standard rear-wheel drive. V6 models of the G80 are available with all-wheel drive, however car conception emphasis on luxury over its sportiness.A lot of tech features appears in the interior design: touchscreen 8” infotainment system is friendly to both Apple CarPlay and Android Auto. The G80 supplied. of course, with navigator and fantastic sound system — its 17 speakers of Lexicon Discrete Logic 7 Surround are simple miracle. Can Hyundai's Genesis G80 Beat Mercedes, Audi and BMW at Their Own Game? The year 2017 has already started to look interesting. The luxury sedan segment, currently dominated by the three Germans – BMW, Audi and Mercedes-Benz, is set to have a very promising entry in the form of Hyundai's luxury vehicle division Genesis. Established in November 2015 with the sole purpose of creating cars that can offer the luxury of the Germans and the power of cars made by the likes of Cadillac, at a very competitive price. The company's next offering – the G80 will be launched in 2017 and is claimed to have more passenger space than a Mercedes E-Class, more horsepower than a Cadillac CTS and with a raft of active safety systems as standard that even Volvo S90 drivers are offered as optional extras. But will all of this be enough to make clients ditch their Audi A6, BMW 5 Series or Lexus in favor of a Genesis? On paper, and given what the Korean automaker is promising, the answer could be "yes". The G80 offers 107.7 cubic feet of passenger space – 10 cubic feet more than a Cadillac CTS and 9 cubic feet more than the new Mercedes E-Class. It also offers more luggage space than any competitor, including an Infiniti Q70 or BMW 5 Series. 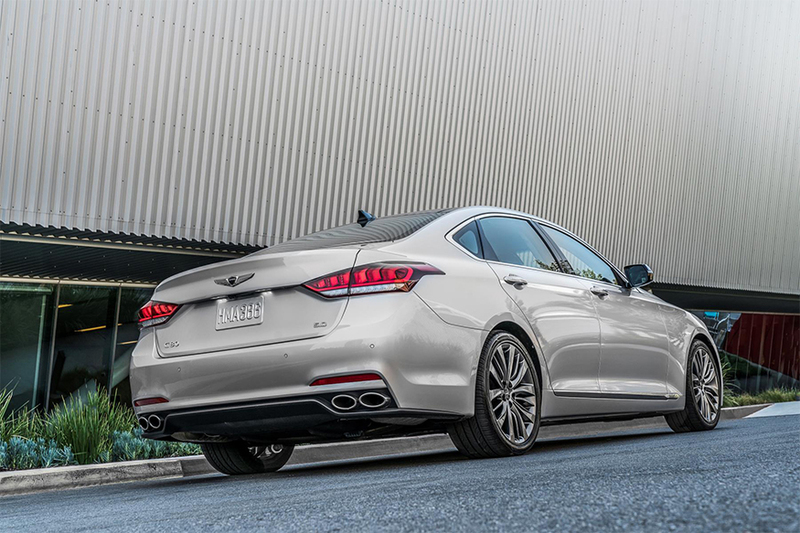 In terms of performance, Hyundai claims the Genesis's body is stiffer than that of a BMW 5 Series for better handling. The car can be specified with rear-wheel or all-wheel drive and there's a choice of two engines – a 311 horsepower 3.8 litre V6 and a 420 horsepower 5 litre V8, both of which are mated to an eight-speed automatic transmission. Then there's the safety technology. The G80 is the only car that comes with autonomous emergency braking with collision avoidance or mitigation, smart cruise control, blind spot detection, lane-keep assist and a rear-view camera as standard. There's even an in-cabin CO2 sensor which monitors air quality and as soon as CO2 levels pass 2,000 parts per million, fresh air is circulated around the cockpit to ensure the driver doesn't feel drowsy. But luxury is about more than creature comforts. It is increasingly about the whole ownership experience. 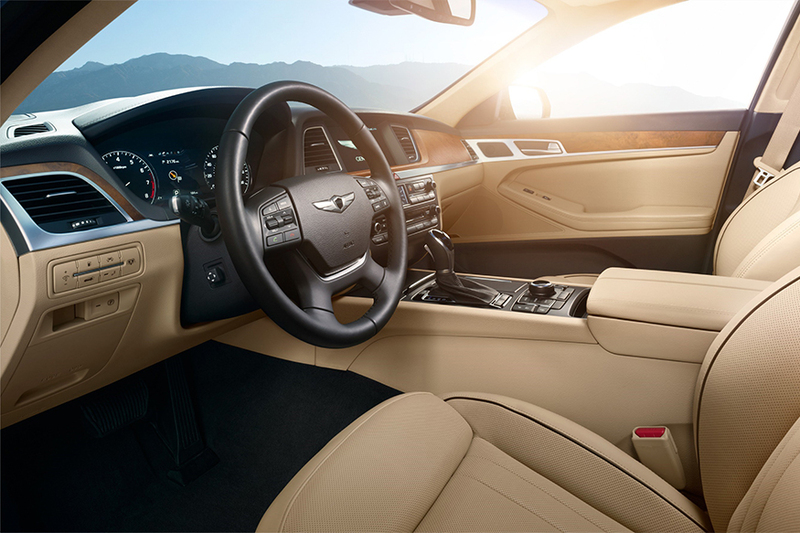 So Hyundai will give Genesis owners three years' complimentary maintenance and will send a valet to collect the car and leave a courtesy vehicle every time a tune-up is needed. It's connected services, including a concierge, are also bundled in free of charge for the first three years. So, like we said, it looks all well on paper but what it will eventually come down to is the pricing. Yes, when you are looking at cars in this segment than pricing does not play as big a role, as say, in the entry-level hatchback segment. But in order to break through the trio of Germans, the pricing of the G80 is what can set the company apart. After all, the Germans have created an identity for themselves over decades and have managed to sustain themselves as the leaders for a reason, but bang-for-buck is just so tempting that it might actually work in favour of Genesis. And as the Genesis model range will also make its way to India in the following years, a well-priced product worthy of making your BMW 5-series owner neighbor jealous will definitely be a great deal. 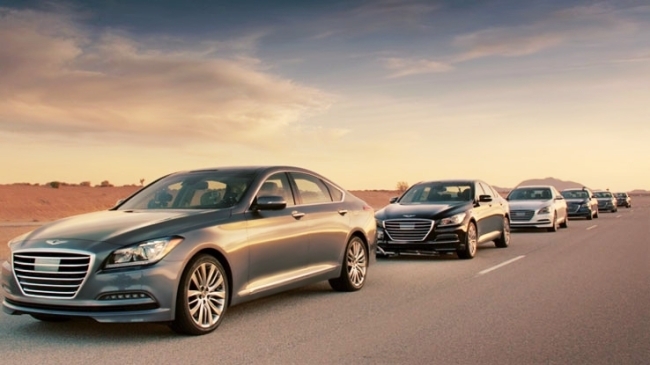 Hyundai Motor, best known as a value automaker, launched Genesis as a standalone brand in November hoping to compete with the likes of Germany's BMW (BMWG.DE) and Audi AG (NSUG.DE) in the higher-margin premium segment. The store will be located at what will be South Korea's biggest shopping mall, Starfield Hanam, due to be opened later this year by retailer Shinsegae Group near Seoul, the carmaker said. U.S.-based Tesla Inc (TSLA.O) was also in talks to open a store at the mall, although a decision had not been made, an official at Shinsegae said. Regarding plans for further standalone Genesis outlets, Hyundai said that "while many options are being considered nothing has been decided at this moment". 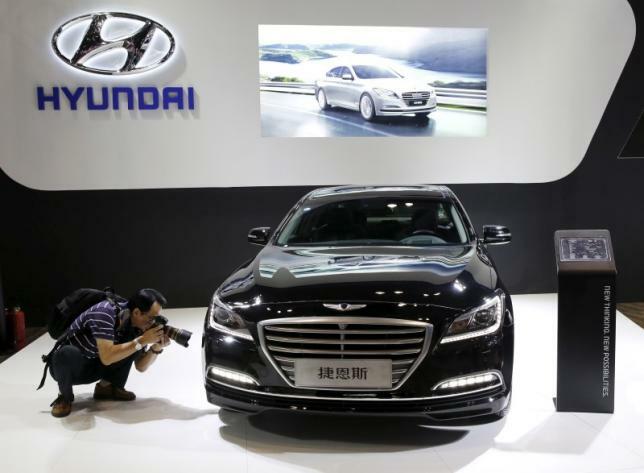 South Korean newspaper Electronics Times said on Thursday that Hyundai planned to open 10 dedicated Genesis stores in South Korea by next year, including in Seoul's wealthy Gangnam district and the southeastern city of Busan. The Genesis line-up currently features two models, a range that the company plans to expand to six by 2020 including an SUV. We have lavished praise upon Hyundai’s current-generation Tucson compact crossover, which manages to do most things well. Looks are subjective, we know, but the wagonoid vehicle is fairly handsome; the interior is a model of ergonomic simplicity; and the quality feel is evident. 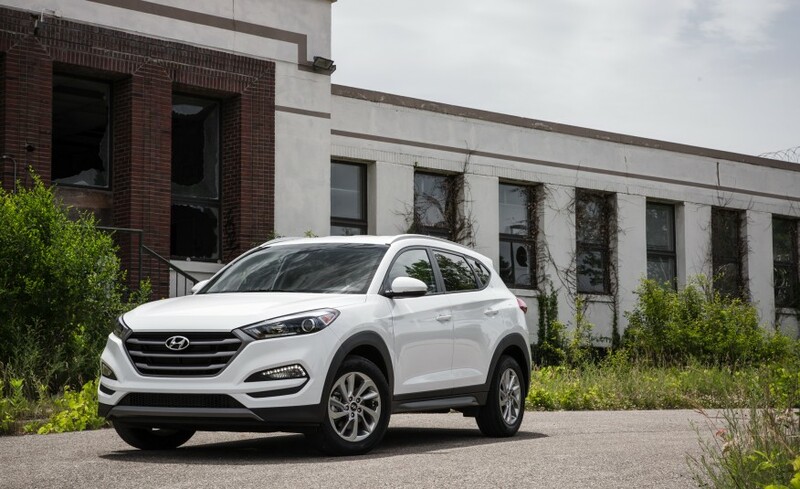 We even found plenty to like in our drive of a front-drive base-model Tucson SE. The Tucson nails the basics and fails to offend in any major way, and that stays true with the latest version to pass through our hands, the Eco model. As is obvious from its name, the Eco is intended to offer a fuel-economy advantage over other Tucsons. Plopped into the middle of the Tucson lineup—above the SE but below the flashy Sport and Limited—the Eco uses the 175-hp 1.6-liter turbocharged four-cylinder engine and seven-speed dual-clutch automatic from the more expensive models. (The base SE has a 164-hp 2.0-liter naturally aspirated four with a six-speed automatic.) With fewer standard features than the Sport and Limited, however, the Eco is lighter. Our all-wheel-drive Eco test car was nearly 200 pounds lighter than the Tucson Limited, albeit at the expense of niceties such as a power passenger seat, a panoramic sunroof, and leather. Combine the Eco’s weight savings with its smaller 17-inch wheels and tires—which promise lower rolling resistance than the 19-inch setup on the Sport and Limited—and you get the highest EPA fuel-economy estimates in the Tucson range. In front-drive guise, the Eco is rated at 26 mpg city and 33 mpg highway; with all-wheel drive, it’s 25/31 mpg. Those numbers range from 2 to 5 mpg better than the SE and 1 to 3 mpg better than those of the Sport and Limited with the same powertrain. We didn’t find the Eco’s efficiency advantage to be as great in the real world. We recorded 25 mpg over 1000 miles, a good number for a compact crossover but only a 1-mpg improvement over the last turbocharged Tucson we tested. As a consolation, the Eco’s weight advantage paid dividends at the track—it was quicker to 60 mph (7.4 seconds compared with 7.6) and posted a higher, 0.84-g cornering figure than the Limited we previously tested. Those numbers place the Tucson Eco near the head of the class—at least among its all-wheel-drive peers—with none topping its grip figure and only the more powerful GMC Terrain V-6, Kia Sportage 2.0T, and Subaru Forester 2.0XT outgunning it to 60 mph. Outside of the test numbers, the Eco’s electrically assisted power steering is as numb, yet still accurate, as the tillers in other Tucsons, and the suspension tuning yields a comfortable and secure ride—ride comfort is as cosseting as it is in the base Tucson SE, the only other member of the family with 17-inch wheels and tires. As in other turbocharged Tucsons, the engine goes about its business quietly, the dual-clutch automatic doing its best to exploit the torque on hand and keep engine revs low. We detected only faint chatter from the clutches—a common niggle with transmissions of this type—and usually only when starting on a hill under light throttle input. More deliberate jabs of the accelerator engage the clutches smoothly and quickly, after which the transmission cracks off crisp upshifts in its quest for the highest gear practical for a given road speed. The Eco not only stands as the most efficient Tucson, but also as the least expensive way to nab the turbocharged engine and dual-clutch automatic transmission. In fact, at $26,445, the all-wheel-drive Eco is just $1450 dearer than the entry-level SE with all-wheel drive. (On any Tucson, opting for front-wheel drive saves $1400.) That $1450 outlay mainly nets the powertrain upgrade, with the only other features added over the SE being a power driver’s seat, power lumbar support, illuminated vanity mirrors, roof rails, LED running lights, turn signals on the outside mirrors, premium fascias and sills, and an “Eco” badge. The lone add-on present on our test car was a $125 set of accessory floor mats, bringing the total to $26,570. There are no options beyond dealer accessories. If our test Tucson seems plain—particularly in its Winter White paint—it’s nonetheless capable, with a roomy interior and cargo bay, smart ergonomics, and solid build quality. 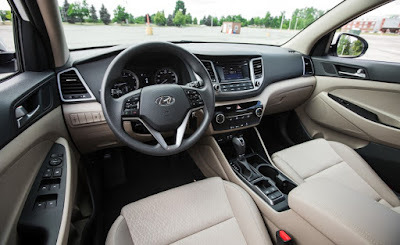 Although the Hyundai’s interior and cargo volumes are mid-pack, the back seat has plenty of stretch-out space and the cargo hold lacks any obstructions and is usefully shaped. The Tucson, regardless of trim level and engine, is a crossover that does everything pretty well, without doing any one thing exceptionally. Yet neither does it do anything poorly, although it does lack the driving zest of the segment’s sportiest offering, the Mazda CX-5. But the Tucson offers good value, is efficient (particularly in Eco form), and is well suited to the daily grind in any form, so we’ll continue to sing its praises. Hyundai believes in challenging convention for the sake of improvement at each step of the way – hence its ethos; 'new thinking, new possibilities'. Creative agency Gravity Thinking, based in London, developed the concept of ‘Driven by Optimism’ in order to humanize the brand’s message of optimism and innovation for the consumer. Working with technologists from The Alphabet Collective, the agency connected EEG headsets, which read the participants brainwaves, to custom built robotics that in turn applied pressure to the accelerator and brake of the i20 allowing the user to control the vehicle through the power of thought alone. Electrodes in the EEG headset with interpreting software detected the participants’ positive thoughts, and electronics applied pressure on the accelerator through the use of actuators. In turn their neutral thoughts would activate the brakes. The participants testing the campaign theory included members of Atlantic Endeavour – four young women who will attempt to be the first women’s four to cross the finish line in the 2016 Talisker Whisky Atlantic Challenge. They were joined by Mark Alcock, registered blind father of two who hadn’t driven a car for fifteen years prior to losing his vision and Life Coach, Anne Rae whose job includes harnessing the power of positive thought with her clients. All were selected due to their different needs to utilize positivity and optimism in their day-to-day lives for very different reasons. The campaign launched on Wednesday 13 July is hosted on Hyundai’s YouTube channels and serializes the challenge through three films and behind the scenes content. Adam Nickson, head of brand strategy and communications at Hyundai Motor UK said: "The 'Driven by Optimism' series perfectly reflects our brand ethos - blending the latest technology with the human spirit to challenge convention and keep pushing boundaries. The series shows exactly what extraordinary feats the human mind can achieve and using our three volunteers we truly show the power of positivity." Martyn Gooding, creative director of Gravity Thinking, said: "To communicate Hyundai as the innovative company that it is, we want to position it as a beta brand. Collaborating with fresh talent, new technology, and pioneering thinkers are key ways to remain relevant in a crowded online space. "The nature of social media has rendered the perception of true authenticity an important commodity. The stunt had to be done for real - and with real people. No computer graphics and no actors." Hyundai Motor Co. and its affiliate Kia Motors Corp. will seek to push sales of environment-friendly vehicles as part of efforts by the South Korean automakers to meet increasingly stringent global emission standards and fuel economy requirements. Hyundai Motor Group Chairman Chung Mong Koo, who presided over a meeting of executives heading overseas offices, directed them to expand production and sales of such vehicles globally, according to an e-mailed statement. 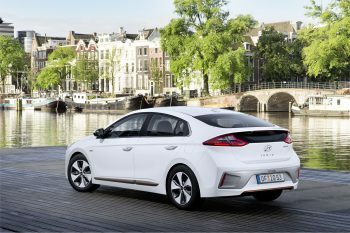 Hyundai plans to introduce its Ioniq gasoline-electric hybrid in the U.S. and Europe, after starting sales in January in South Korea. Kia plans to sell the Niro hybrid in the U.S., Europe and China. Chung’s push for eco-friendly cars comes as Tesla Motor Inc. prepares for its debut in South Korea, where such models comprise less than 1 percent of 21 million vehicles. Automakers are expanding their lineup of alternative-energy vehicles with companies such as Toyota Motor Corp. as they come under pressure to improve fuel economy and meet increasingly stringent emission rules. 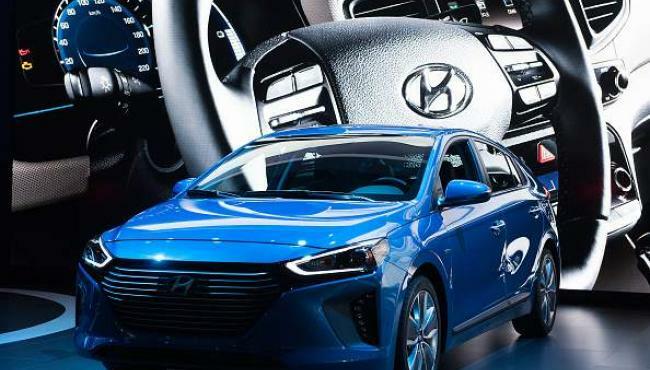 “We need to expand eco-friendly car lineup and strengthen sales, production capabilities to lead the eco-friendly car industry,” Chung, who heads both Hyundai and Kia, said in the statement. Hyundai and Kia have said they plan to have 28 environment-friendly vehicles in their lineups by the end of the decade, including electric cars and hybrids. The automaker will accelerate the introduction of its Genesis luxury brand globally, according to the statement. Hyundai spun off its luxury marque into a standalone brand as it seeks to move upscale and compete against the likes of Toyota’s Lexus. Hyundai plans to start sales of the G80 mid-sized sedan and the bigger G90 sedan in the U.S. this year, while the G90 will be introduced in the Middle East, the company said without providing a time frame. Ahn Byung-ki, director of eco-vehicle development at Hyundai Motor Group, made some announcements last week at Hyundai’s research and development center in South Korea. According to Byung-ki, Hyundai will position itself as a leader in electric cars from here on out. 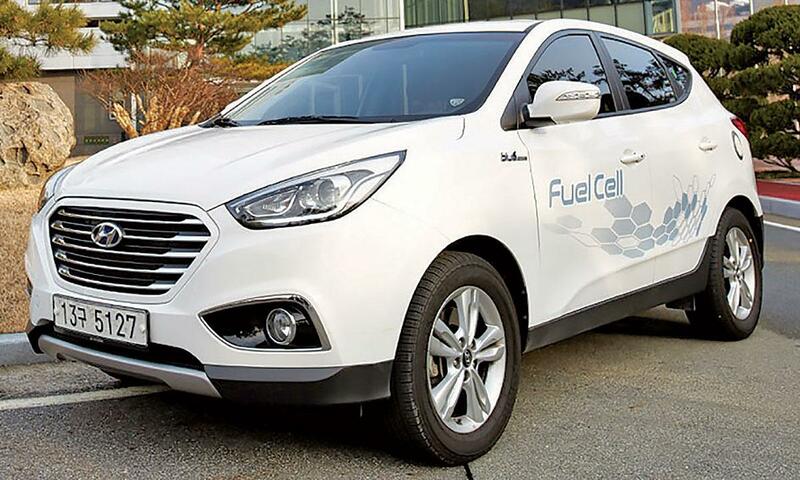 In order to be a leader, Hyundai says it’ll roll out new generation electric cars every two years to keep pace with how quickly the technology is emerging in the electric car space. The IONIQ electric, a car that’s not yet on sale in the U.S., is already behind the times with a range of only 110 miles. It’ll go on sale in the U.S. this November. Pricing has not yet been announced, but with a range of only 110 miles, we don’t expect it to sell all that well, no matter how low its price tag. Fortunately, with this new-every-two cycle announced by Hyundai, we won’t have to wait long before a longer range IONIQ is offered. And Hyundai doesn’t seemed concerned over these longer range cars cannibalizing sales of IONIQ. 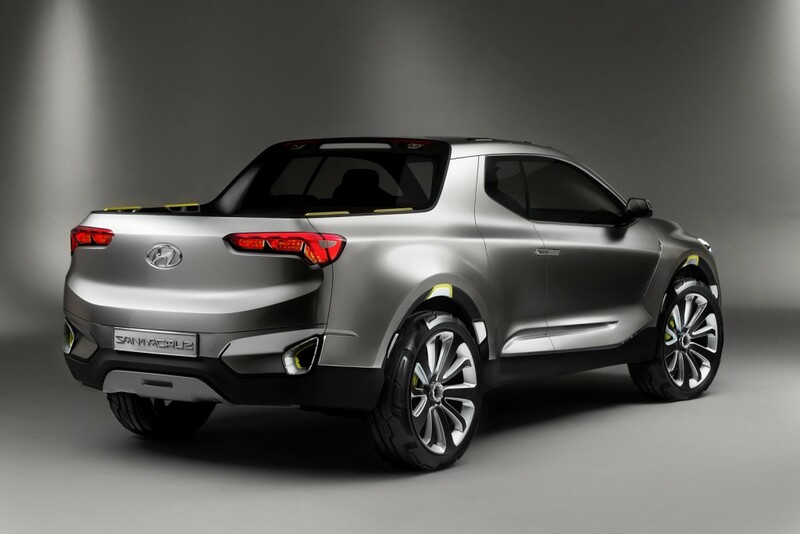 As Byung-ki stated in regards to future electric Hyundai’s. Hyundai promises at least 8 PHEVs and 8 EVs by 2020, so there will be lots of choices out there to pick from. Hyundai’s Ioniq is doing so much in the field of EVs. The Ioniq has gotten immense popularity since it was released and is regarded as one of the best electric vehicles with high mileage. It goes as far as 110 miles in a single charge. Ioniq will be introduced for U.S later this year in the U.S version too. Hyundai has announced a new project to come in future as well. The company has predicted to produce a 250 mile EV to roam on the roads by the year 2020 as well. Hyundai is already working on the project. This new car will make sure that customers get to travel more in a single charge. Of course it will mean more powerful batteries and increased number of batteries too. One can expect a car with loads of space for the batteries. The Ioniq will be made in plug in and hybrid both modes. The sister companies of Hyundai which are Kia and Genesis are already working on the models of new EVs too. They are trying to develop 200 miles range EVs for 2018. After that they are aiming for a 250 miles range car to introduce in the year 2020, according to AutoCar. Tesla motors is the prime name for EVs all around the world. The Hyundai Executive however said that they don’t have any plans of taking over Tesla’s name for luxury EVs. They will make their own affordable EVs with large mileage which will have a different approach towards market as they don’t have any plans to take over Tesla’s market. The Ioniq EV was unveiled at the New York Auto Show this March. It is being sold in Korea in both Hybrid and Plug in version since January. The South Korean automaker has already confirmed a pickup truck is going to happen, so now the only question remaining was the about the time frame of the introduction. 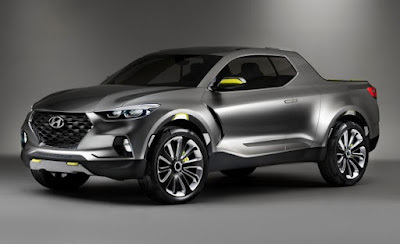 The model has been previewed by the Santa Cruz concept, which received rave reviews from fans and critics, and previous rumors have been suggesting it would carry the Tucson SUV architecture and thus slot in the compact truck segment. It would use all-wheel drive and a five seat interior, with the powertrains of course directly taken from the Tucson, alongside some other components and most likely the general design of the interior. The pickup would be offered in North America as well – being the first Hyundai model packing a diesel engine – and other markets are also planned, such as Australia and countries in Europe. Look at that. Do you know what that is? That’s progress on wheels right there. The future of affordable, enthusiast-oriented cars for everyone. That’s the 2017 Hyundai Elantra Sport. Why does a four door compact sedan from a Korean car company warrant such praise? First off, Hyundai Motor America might be subsidiary of Hyundai Motor Co of Korea, but the Elantra, and the larger Sonata, are built in Montgomery, Alabama. Both are indisputably American automobiles, built here, and designed with American consumers in mind. Both have enjoyed mainstream success thanks to their great value, but are hardly cars that come across as ‘fun to drive.’ Hyundai is looking to change that with the Elantra Sport, and win over enthusiasts that need a more practical vehicle than a Genesis Coupe. 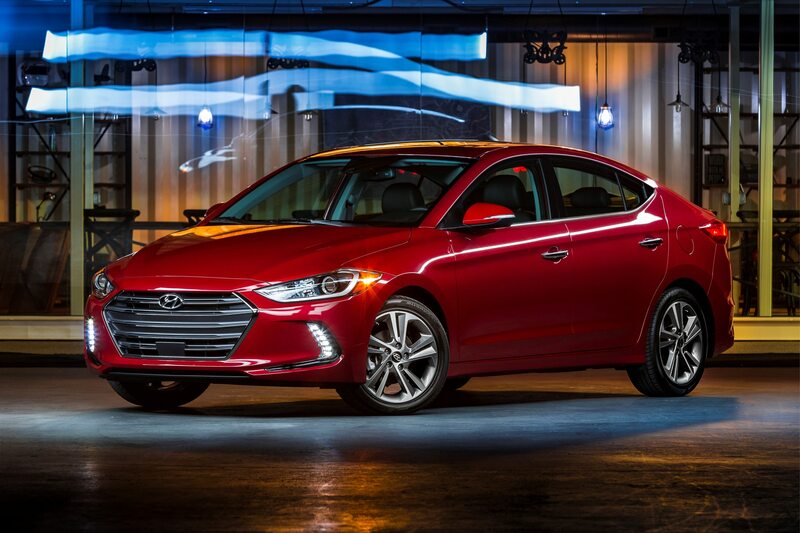 Hyundai has been designing sharp looking cars for the better part of a decade now, and the new Elantra Sport is a new high in the non-luxury segment. Sporting a large blacked grille with subtle chrome accents, faux air ducts, and a decent rear diffuser, the Elantra Sportlooks quick, but will it be quick? With a 1.6-liter Turbocharged GDI four-cylinder making more than 200 horsepower and 190 lb-ft of torque, one has to think that it will be. Drivers can choose between a dual-clutch seven speed automatic with paddle shifters, or a six speed manual that comes with a nifty looking shift knob, not to mention the sense of pride in knowing you’re actually driving the car, not operating it. An independent multi-link rear suspension will undoubtedly give the Elantra Sport better road manners, but until we know what kind of tires are coming on the car, probably best to manage our expectations. 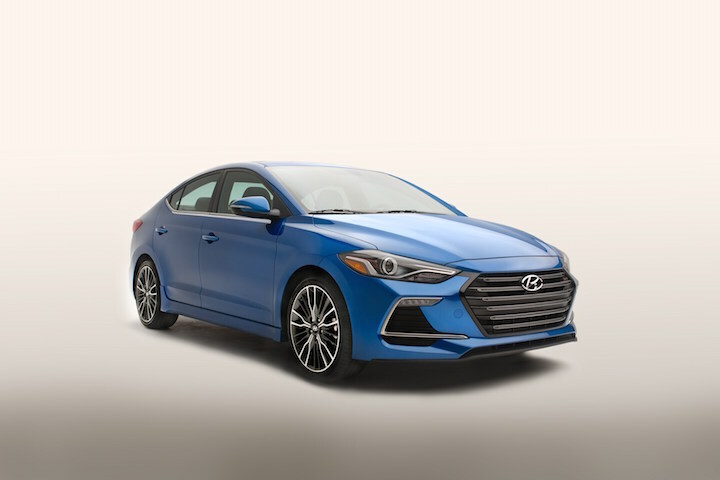 One thing is for sure, the Elantra Sport has a great looking interior; nicely bolstered sport seats, flat-bottom steering wheel, aluminum pedals, red accent stitching, and Apple CarPlay make this a place you could enjoy spending some time in. All I really want to know is this: will it come in hatchback form? Cheap gas got you itching for the open road? Step on the brakes! 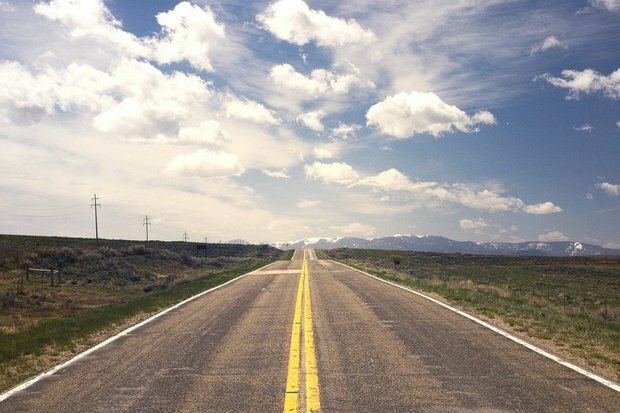 There are a few things you need to do before you hit the open road this summer. Follow these tips to arrive at your final destination safely. Before any road trip, the National Highway Traffic Safety Administration (NHTSA) recommends that you have your car's tires, battery, belts, fluids and air conditioning system checked by a qualified, certified mechanic. The vehicle needs to be serviced according to the manufacturer's recommendations, and it should be in ready-to-travel condition. According to Kevin Schechterle, service director at Gary Rome Hyundai, the tires should be the first things you check before hitting the road. "Based on summer heat, you want them to be inflated properly," he said. "The heat created by the friction between the road and the tire while driving in summer weather may cause your tires to become over-inflated and pop." You can extend the value of each dollar you pay at the fuel pump by practicing a few fuel-efficient driving techniques. Avoid jackrabbit driving, or aggressive starts and stops, because a heavy foot on the gas and brake pedals not only uses more gas but also causes more wear and tear on your vehicle. Secondly, slow down. While each type of vehicle is different, fuel efficiency drops off sharply after about 50 miles per hour. The US Department of Energy estimates that, for every five miles per hour you drive over 50, it's like paying 14 extra cents per gallon. Besides, driving slower avoids speeding tickets. Enabling cruise control may save fuel and make a drive more relaxing, but Schechterle cautions against using cruise control. "Even though cruise control might save on fuel, driving using the throttle keeps the driver more engaged and alert." Make sure your car is equipped with a properly inflated spare tire with a jack and tools, jumper cables, reflective items and a stocked medical kit. "Most people do not have medical kits in their cars, but it is always a good idea to be prepared for an emergency," said Schechterle. There is a lot to pack the day before your trip. Make sure you pack essential items, like a cooler full of snacks and drinks, especially when traveling with children. It'll help you avoid making unnecessary stops throughout your travels. Drivers also need a good night's sleep to stay alert during the trip. "Don't drive when you're tired," added Schechterle, "and you don't need to rush to your destination." More than a quarter of all car accidents in the United States are caused by cell phone use, according to a study by the National Safety Council. Your friends and family care more about you getting safely to your destination than a selfie behind the wheel. Vacation getaways can be few and far between. Make the most of your time. "You can make the road trip a fun part of your vacation if you stop to take breaks and take in the sights along the way," said Schechterle. At the start of last year, Hyundai showcased an intriguing Santa Cruz pickup concept during the 2015 Detroit Auto Show. After lots of speculation regarding the possibility of the vehicle materializing as a production model, some execs in Hyundai eventually confirmed that it is set to happen. The only impediment, they said, was the decision from the top brass to green light an official reveal. Everything had been set and it was just a matter of scheduling its public appearance. At this point, the Honda Ridgeline which it’s supposed to compete with has already rolled out to dealerships, and there’s still no word on the Santa Cruz. It has virtually vanished from everyone’s minds, lips, and fingertips. The last we heard from Hyundai about the ute, it’s actually not aimed at the Ridgeline. The Santa Cruz won’t have up to 5,000lbs of towing capacity and is not going to offer as much utility as its Honda counterpart. Instead, it would be contending against the likes of the Honda HR-V and Mazda CX-3, sort of as a diminutive crossover with a tiny bed. The same could be said about the Ridgeline and Pilot three-row SUV, but in the case of the Santa Cruz, its place is in the subcompact segment. Ahead of its global launch, the new Hyundai i30 will be officially unveiled at the upcoming Paris Motor Show 2016. Reports indicate that the new i30 will be offered in three body styles – a five-door hatchback, an estate and a four-door coupe, which are mainly targeted at the European market. It is to be seen if the company will take-out the three-door body styled variant from the market due to its poor sales figures. 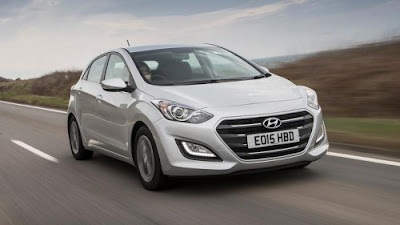 In the US and Canada markets, Hyundai sells the i30 as the Elantra GT. Hyundai might introduce a performance variant that will be rechristened as the Hyundai i30 N. It will be powered by a 2.0-litre turbocharged four-cylinder petrol engine that will use the technology from the Hyundai i20 WRC. The performance oriented variant will be offered as a range-topping model. The interior in the new i20 will also offer fresh upgrades. Back at the Auto Expo earlier this year, Hyundai had showcased the current generation i30 hatchback. However, the company has no plans to introduce the i30 hatchback in India. Sometime later this year, Hyundai plans on launching the Tucson and the new Elantra in India. More details about the new Hyundai i30 will be known post its official unveiling. FOUNTAIN VALLEY, Calif., July 6, 2016 /PRNewswire/ -- Hyundai Hope On Wheels® (HHOW) and Hyundai dealers will award 18 hospitals with a $50,000 Hyundai Impact Grant for pediatric cancer research to help end childhood cancer. The Impact Grant supports the programmatic needs of pediatric oncology. The grant may also be used to support direct patient assistance programs, such as enrichment programs, play room/teen center equipment, family on-site support, educational initiatives, or other efforts to improve care and cure for kids fighting cancer. In addition to the Impact Grant winner, Hope On Wheels will soon announce the winners of its Hyundai Scholar and Young Investigator Grants. This year alone, HHOW will award more than $13 million in new pediatric cancer grants. Since 1998, the program has funded $115 million in research to Children's Oncology Group (COG) member institutions nationwide. The program also creates awareness about the importance of the disease, which is the leading cause of death by disease in children in the United States. The Impact Grant will be presented during handprint ceremonies that will take place at each awarded hospital between July – August. During the ceremony, HHOW will commemorate local-area children affected by cancer. The kids will be invited to place their handprints on a white 2016 Hyundai Tucson to commemorate their fight against the disease. "Our mission at Hyundai Hope On Wheels is clear: End Childhood Cancer," said Scott Stark, Chairman, Hyundai Hope On Wheels Board of Directors. "By funding transformational research through our Impact Grants and celebrating the lives of the brave young cancer fighters at our handprint ceremonies, we move closer to our dream of a day without cancer. This is a fight you can count on us to be in until no child ever has to hear the words: you have cancer." [THE INVESTOR] Hyundai Motor Group plans to operate self-driving taxis at its research center in Namyang, Gyeonggi Province, from later this month, a local newspaper reported on July 6. MoneyToday, citing unnamed company officials, reported that a total of five autonomous taxis, based on Hyundai’s fuel-cell sport utility vehicle Tucson ix and the Ioniq hybrid compact, will be operated. The Namyang center is located on a 346.5 square-meter site, equipped with a 64-kilometer test-driving road. The taxis will be operated for employees commuting within the campus. Users can make a ride reservation via a smartphone app. A group of Uber researchers visited the center last month possibly to seek partnership with Hyundai that has been making a big push on autonomous driving. Late last year, the group acquired driving licenses in Nevada, US, to operate its self-driving cars based on Hyundai’s fuel-cell SUV Tucson and Kia’s full-electric compact Soul. Early this year, the carmaker was granted approval to operate autonomous models of its Genesis luxury sedan and the Tucson fuel-cell SUV in Korea. Hyundai also plans to unveil a self-driving version of its latest electric model Ioniq during the Consumer Electronic Show in Las Vegas next year.